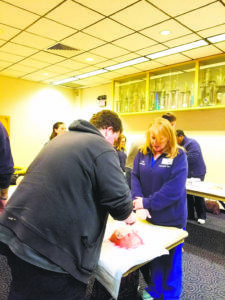 More than 60 members of the North Massapequa Fire Department recently learned lifesaving techniques from the trauma team at NYU Winthrop Hospital during a Stop The Bleed program. 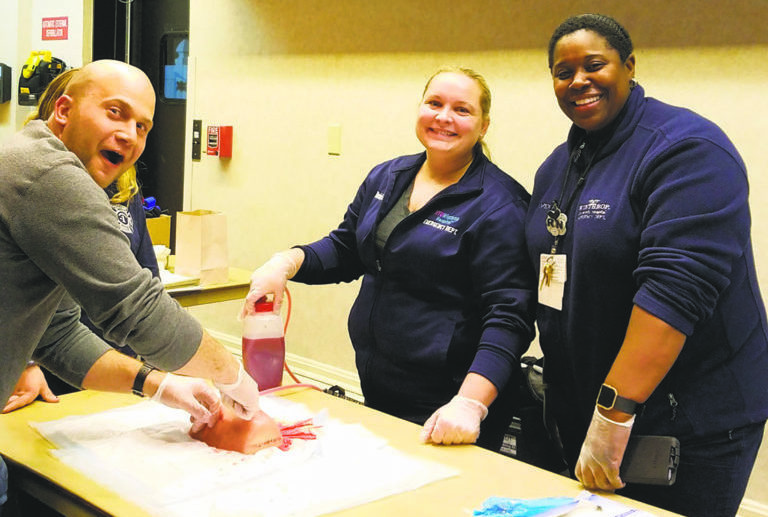 Stop the Bleed encourages first responders and everyday citizens to become trained and empowered to assist in a bleeding emergency until professional medical aid arrives. NYU Winthrop has been training organizations and residents across Long Island in recent months, bringing the Stop the Bleed program’s lifesaving techniques to firefighters, public safety officers, health professionals, university staff, entertainment venues, corporations and more. According to a National Academies of Science study, trauma is the leading cause of death for Americans under the age of 46, resulting from car crashes, gun violence, mass casualty incidents and terrorism, as well as from home and work injuries. In many cases, the deaths are due to blood loss and are preventable. The Stop the Bleed program focuses on teaching tactics to recognize life-threatening bleeding and provide immediate response to control that bleeding including by direct pressure, the use of tourniquets, or packing (filling) a wound with gauze or clean cloth. Bleeding wounds, such as to the arms and legs, can many times be controlled by direct pressure. The Stop the Bleed program was the brainchild of a physician who examined the wounds among those killed in the Sandy Hook massacre in Newtown, CT and determined that if pressure had been immediately applied to some wounds, some deaths would have been prevented.